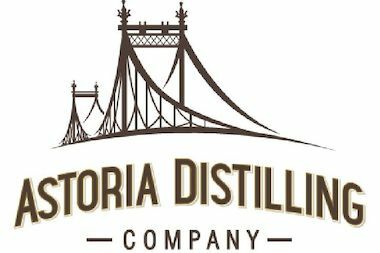 Astoria resident Chris Murillo is planning to launch a craft spirits company called Astoria Distilling. ASTORIA — You might be able to taste the spirit of Queens soon. The Astoria Distilling Company is in the works, according to founder and neighborhood resident Chris Murillo, who is hoping to launch his first product this summer — an old-fashioned style gin he calls "Queens Courage." Murillo, 35, a lawyer, said the gin will originally be crafted at a partner New York state distillery outside the city, though his plan is to eventually open his own manufacturing space in his home borough. "Our ultimate goal is to absolutely build a distillery in western Queens," he said. Murillo said he was inspired to start the venture after friends of his opened a brewery a few years ago in Puerto Rico. "I love beer of course, but what really gets me excited is all the creativity you have when making cocktails, and that classic cocktail culture," he said. "It's really fun." Astoria Distilling Company was recently selected as a finalist in the Queens Economic Development Corporation's StartUP! Business Plan Competition, which provides grants to emerging Queens entrepreneurs. The winners will be announced later this spring. Murillo said "Queens Courage" will be an "Old Tom" style gin, a type that was popular during the 1800s. It will be sweetened slightly using locally sourced honey, and can be used to craft classic cocktails or even to drink on its own. "It works really, really well in cocktails," he said. "[It's also] really smooth and refined enough that you can drink it neat, which is an added bonus." So far, the company has received permits to produce and sell the product, but is waiting to get its labels approved through the State Liquor Authority and federal Division of Alcohol Tobacco and Trade, he said. Murillo said he plans to first market Queens Courage to local bars and restaurants. His goal is to eventually expand to include other types of spirits, like a Greek ouzo. "Once we get our own facility we'd like to start experimenting in creating spirits that kind of highlight the different cultures in Queens," he said.